Today we’re looking at an exciting product, the Prynt Case, this is a phone case for iPhone and the Samsung Galaxy that turns your smartphone into an instant printer and camera! 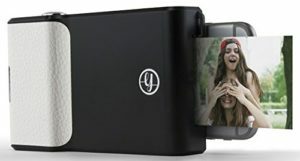 You can also take a look at our list of the best portable photo printer for iPhone for more info and ideas for an iPhone printer. In this review we’ll be going through all the features and will check out how great the product really is. We will also be looking at the customer opinion and telling you what people are saying, so expect some honest opinions from actually users of the Prynt Case. Hopefully after this review you will be able to make a better decision and will know the best place to buy the Prynt Case. If you’re in a hurry and are just looking for the best price to get the Prynt Case click here to see the best price around on Amazon.com. Prynt saves a video inside each photo – just use the Prynt app to unlock and magically replay the video. Making Prynt photos doesn’t require ink cartridges – Prynt ZINK Paper contains everything you need to make amazing Prynts. Why Buy The Prynt Case? The is the ultimate portable printer what could be more pocket sized then a case attached to your smart phone. The Prynt case charges through usb so once your smartphone and printer is charged you can go out and snap photos and print them anywhere at anytime. The key to this process is the patented ZINK Paper®, an advanced composite material with cyan, yellow, and magenta dye crystals embedded inside and a protective polymer overcoat layer outside. Before printing, the embedded dye crystals are clear so ZINK Paper looks like regular white photo paper. This makes the paper look like ordinary white photo paper before printing. But when printing the ZINK device uses heat to activate and make the crystals colorise the paper. So you just add paper and you get an instant quality photo print. Clever stuff! As well as being inkless the photo are also long-lasting, they don’t fade and are tear-resistant, but are also great quality offering millions of high-res colours. And an added bonus all the photo can be used as stickers. 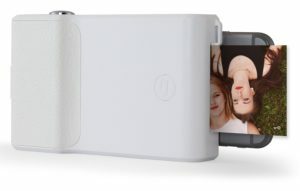 A cool feature of the Prynt is each photo printed (that was taken with the Prynt case attached) has a video saved inside it – you’ll have bare with us for this one as we didn’t understand it at first – so when you hand your photo to friends family they can use the Prynt app to unlock and view the hidden video. So when viewing the photo through your phones camera and screen the recorded video will be overplayed, this use augmented reality so the photography will look like its move on your phone screen! A very cool way to modernise the instant camera. Using the Prynt app you can let you creative side come out, you can apply filters, frames and stickers, the instantly print out your creation anywhere. The Prynt case looks super stylish wit a retro instant camera feel, it comes in black (with white grip) or white (with grey grip). The case comes in a selection of different models for different smartphones. You can buy the case for the iPhone 5C/5/5S/6/6S, 6 Plus and 6S Plus as well as the Smasung S4/S5. If you upgrade or change your phone you purchase an extra adapter to convert your case to work with your new smartphone for around $20. Easy to use, simple to setup and print, and the app is very user friendly with great features. Quick printing, takes less than 30 seconds to print out hard copies of you snaps on your smartphone. The augmented reality photos are awesome, moving photos definitely modernises the instant camera. Pictures are maybe a little dark, could be a plus if you prefer a darker looking photo. Prynt Case doesn’t charge iPhone when being charged could be a handy upgrade to be bale to charge both devices simultaneously. We think the Prynt Case is a great way to turn you smartphone into a instant printer and camera. 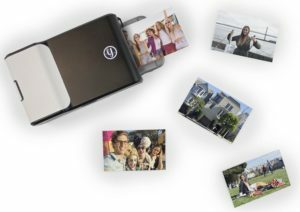 If you’re looking for the ultimate way to print on the go, having this is the most portable way to print your photos on the go, just attach to your smart phone and start snapping. 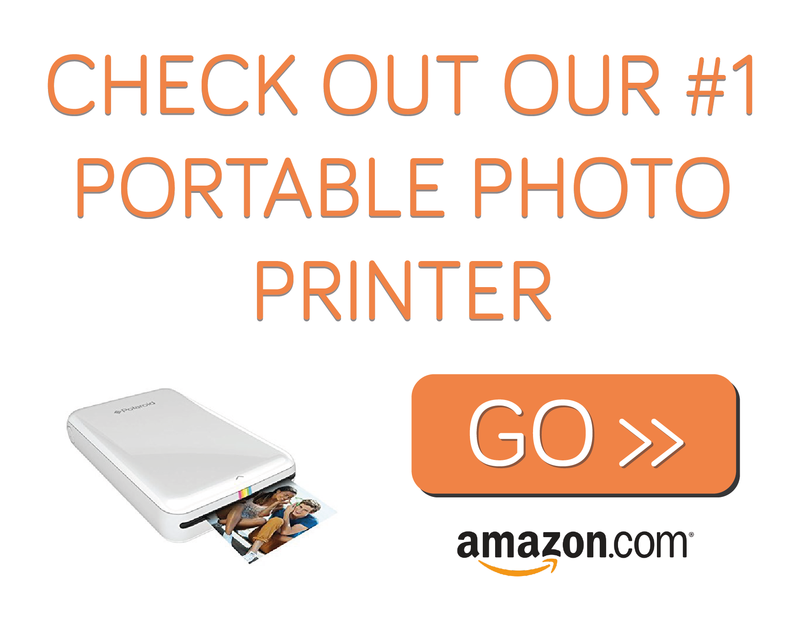 If you’re looking for a standalone printer then check out our portable photo printer reviews. But as a printer case you can’t go wrong with the Prynt Case and the augmented reality photo is a very cool added touch. For the best deals and for fast delivery check out Amazon for the best price on the Prynt Case.